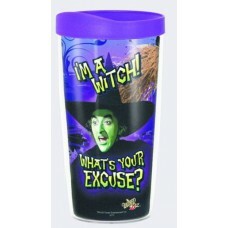 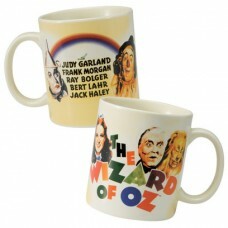 Plastic Travel mug with slide close no spill lid, One mug, Picture shows both sides..
Wizard of Oz cups are licensed by Turner Entertainment. 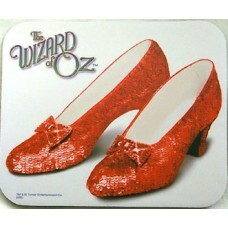 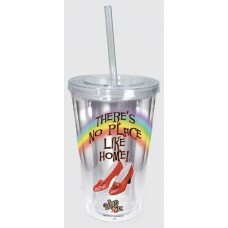 This cup is acrylic double wall insulated, B..
Wizard of Oz Ruby Slippers Mouse Pad, mouse pad, 8.5"x7", 1/8" thick, Plastic surface, rubber back..
Wizard of Oz Cup, Double wall insulated Acrylic Cup, BPA Free, Twist off lid, with Acrylic Straw..
Wizard of Oz travel mugs are licensed by Turner Entertainment. 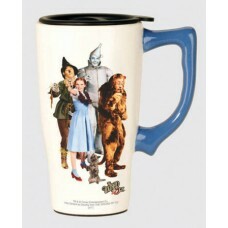 This mug has a stainless steel inner ..
Wizard of Oz Characters Travel Mug features Dorothy, the Scarecrow, the Tinman, the Lion and Toto on..
Are You A Good Witch Travel Mug features Glinda with the words "Are You a Good Witch? 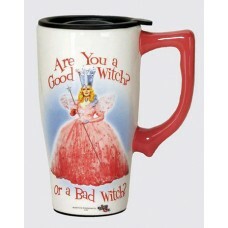 or a Bad Witch..
Wizard of Oz Coffee Mug, Ceramic Collectible Mug.. 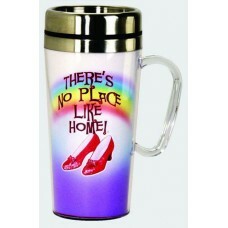 There's No Place Like Home Travel Mug features Dorothy's ruby red slippers with the words "There's N..